We've seen this before: What's not being given top priority here? Is this the correct way to remove liquid from a sump? Never, ever use an electrical device (in this case, a shop vac) to remove potentially combustible and vaporous liquid from any part of a UST system and especially a low point like a spill bucket or sump where gasoline vapors can gather. You'll notice the product piping coming into the dispenser is not stainless steel or FRP but rubber. Plus the shear valves are not anchored. 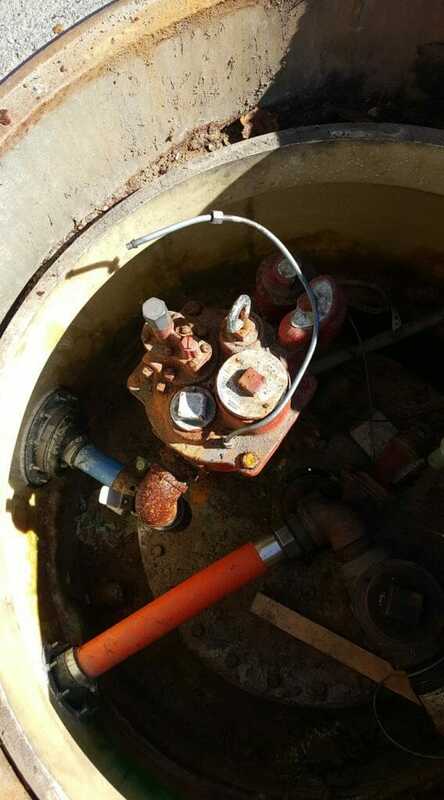 If a vehicle were to strike the dispenser and knock it over, both failing shear valve and non-standard piping could lead to a major accident like a fire. 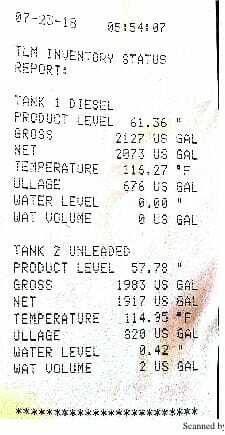 Did you notice the temperature in Tank #2? It's 114.95 degrees F.
What's wrong with this product piping? 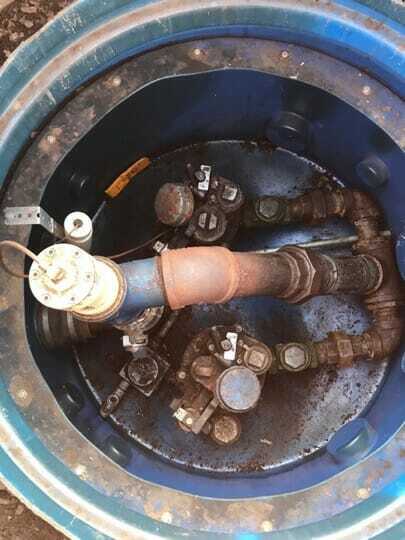 This was discovered at an active UST site that was having trouble passing a leak test. Okay What's Wrong Fans: Here's a stumper. What's not right about this picture? Notice the copper tubing curling from 6 o'clock counter clockwise up to about 11 o'clock? It doesn't go anywhere. That's because someone removed the mechanical leak detector, which was probably in slow flow and irritating the customers. In our training we warn folks not to do this. In fact we learned last year about a $15,000 fine from a state UST agency to a UST operator who did just that. What’s Wrong with this Wall? 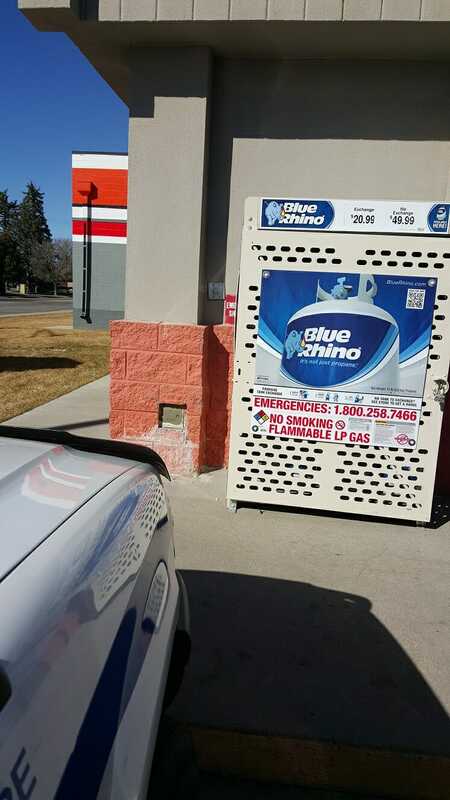 Behind the Blue Rhino propane box is the emergency shot off switch that someone who hit in the event of an incident. Unless of course you can't find it. What's wrong with this ATG Printout? 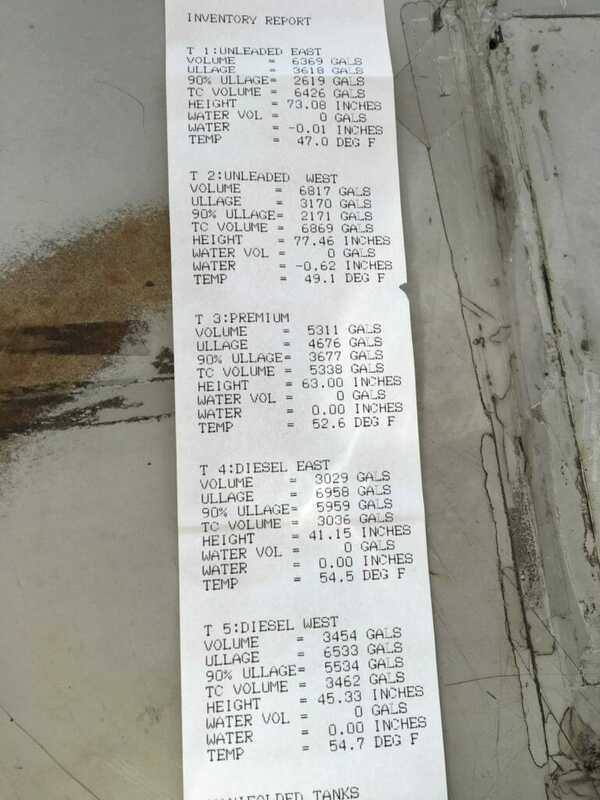 Tank #2 has negative .62 inches of water. Generally these numbers should be positive. What's wrong with this spill bucket?